ETS-Lindgren’s 5230 Table Top RF Test Enclosure is an upright bench top system for testing larger sized DUTs. 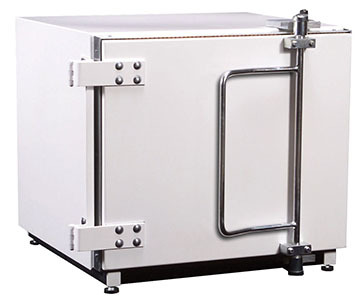 The 5230 Table Top RF Test Enclosure’s welded construction and a door with a progressive RF gasket compression mechanism provide RF isolation of up to 120 dB at frequencies above 10 MHz (see specification table). The 5230 Series Table Top RF Test Enclosure is the most versatile off-the-shelf test cell platform in our product line. The large unobstructed interior and zero perimeter doors maximize the available test volume for DUTs. Models in this series can be customized with: RF anechoic lining (absorber or ferrite tile), RF waveguide vents for cooling, removable feed through panels for power and signal lines; viewing ports, swing, sliding, and pneumatic opening doors. Custom features can include; frequency specific RF coupling devices (antennas), automated DUT positioning fixtures, interior lighting, and CCTV cameras. For small devices like mobile phones, etc.